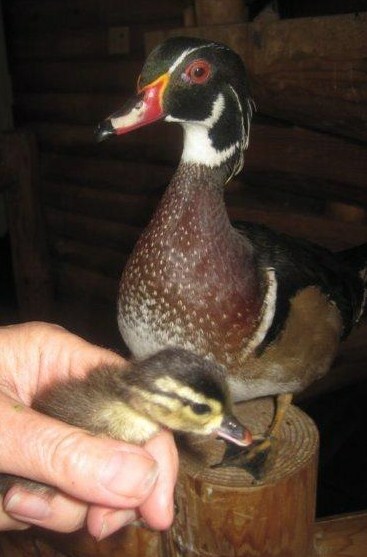 Wildlife rehabilitators cringe when a call regarding orphaned ducklings ends up being Wood Duck or Merganser ducklings. Both of these species are really tough to raise. They are high strung to begin with and have special needs. They eat only insects their first month of life. 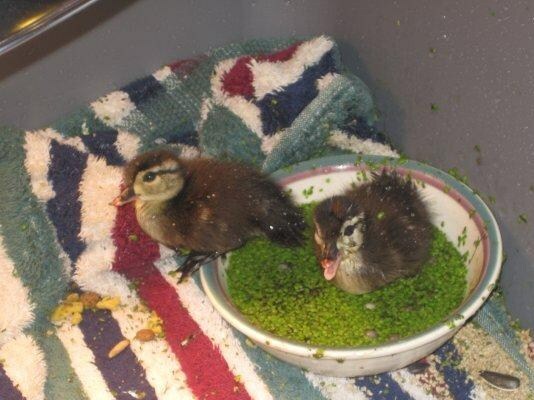 No duck food for these tykes. Duck weed, which is a natural food for ducklings, is collected from nearby lakes and is key to raising youngWood Duck and Mergansers. Tiny invertebrates hide in the weed and make an excellent first food for the little ones. Lots of new admits keep coming in. We are a bit overwhelmed at the moment but will keep updating as we can.